The Fourth of July is just around the corner along with sun, pool, parades, beaches, and grills. Sunscreen and other forms of sun protection are flying off the shelves, but the Environmental Working Group cautions about the chemical ingredients within some sunscreens. So, we’ve got some nutrition and natural sunscreen tips for enjoying some healthy, happy sunshine this summer. Our bodies need at least a couple of hours of premium direct sunlight per day to naturally produce healthy amounts of Vitamin D. Vitamin D is known for the role it plays in immune system health, but sunscreens may block Vitamin D production. Without some form of sun protection though, the summertime sunshine can cause unhealthy UV burn. A little balanced sun exposure on a daily basis helps us build up natural Vitamin D and Melanin levels in the skin, both of which help to prevent the sun’s UV rays from burning the skin. Sunshine in balance actually is a great form of natural sun protection in moderation. Just remember not to let yourself burn. 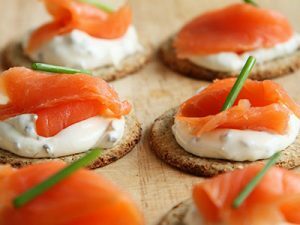 Red-tinted fish such as salmon and krill know to be good food sources of the cartenoid Astaxanthin. Astaxanthin is a powerful antioxidant carotenoid (plant-produced pigment like melanin) produced when a certain species of algae dries up. It’s generally taken as a powerful antioxidant and internal protection from cellular damage from UV rays. Astaxanthin can be found in fish with red-tinted meat that eats the algae, such as Krill and Salmon. Antioxidants like Vitamin C and E also scavenge free-radicals produced by UV radiation exposure and prevents cellular damage. These two antioxidants are a must for skin health if you plan to enjoy your summer in the sun. Omega 3 Fatty Acids (particularly the EPA portion) commonly found in Fish Oil is a great natural way to reduce inflammation and lubricate skin for a boost to your natural internal sun defenses. While mainstream sunscreens may contain heavy chemicals that are absorbed through the skin, natural alternatives are a great idea as a front-line of defense from sun damage. DO look up the ingredients of some of the top sunscreen brands before deciding on which one to use. The Environmental Working Group’s Guides to Sunscreens is an excellent resource for investigating the chemical ingredients contained in different mainstream sunscreen products. DON’T forget natural and eco-friendly options. There are reef-safe and chemical-free sunscreens that use either Zinc Oxide or Titanium Dioxide instead of chemical UV protectors. If you’re looking for a clear sunscreen, the Zinc Oxide ones are a better bet. DO apply 15-20 minutes before sun exposure (whether you’re using a mainstream or natural sunscreen), and DO re-apply sunscreen thoroughly every 90 minutes. Was this article helpful? Can you think of any other topics that would be useful to hear about? Let us know in the comments section! Caitlin is a digital marketer with interests in nutrition, lifestyle, and home decor.